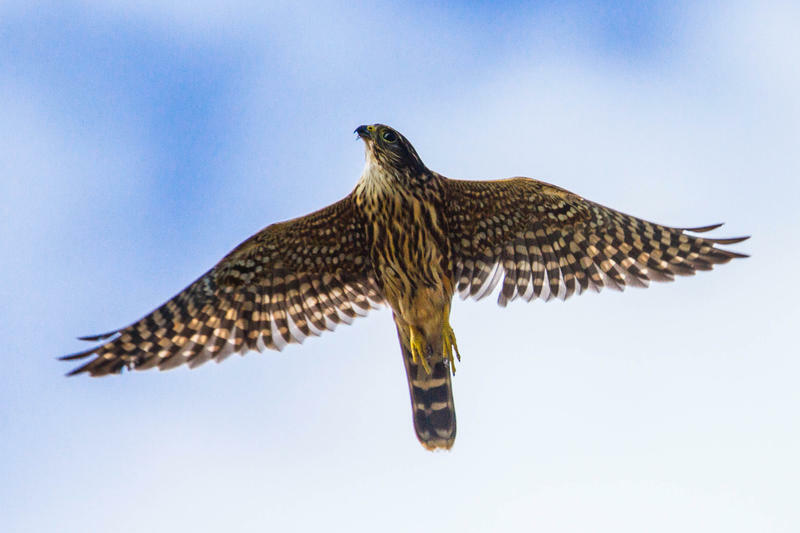 The Florida Keys Hawkwatch has a special distinction in the counting world — it holds the world records for the number of peregrine falcons counted, both in a single day and over an entire season. 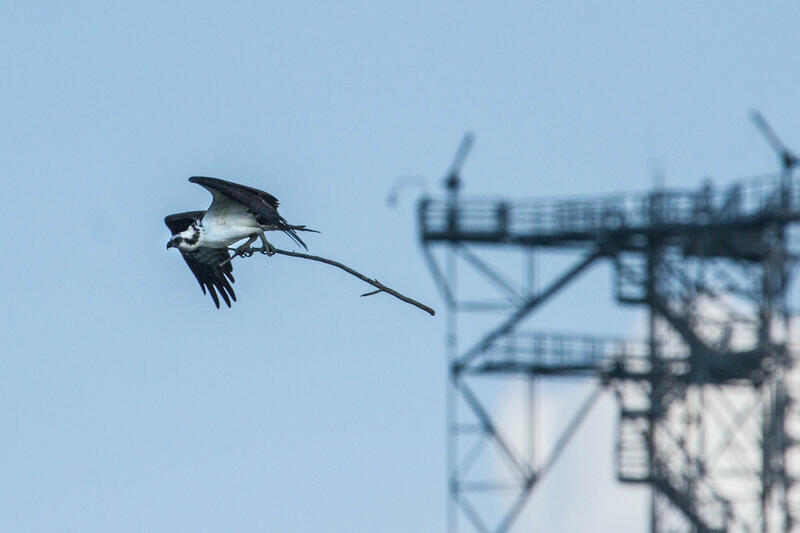 An osprey carries nest-building material. A Northern Harrier cruises a field looking for prey. A peregrine falcon. 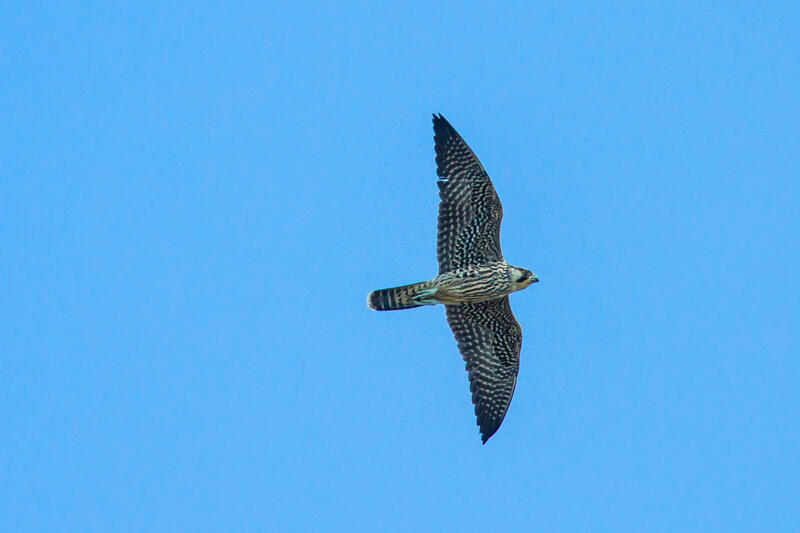 More peregrines have been seen at the Keys Hawkwatch than any other site in the world. Peregrine falcons are the fastest animal on earth when they dive, or stoop. They keep track of every single bird that flies over their station — in the Keys Hawkwatch's case, that's at Curry Hammock State Park in Marathon. Year after year, the data helps track the population numbers of different species. And the Keys Hawkwatch has a special distinction in the counting world — it holds the world records for the number of peregrine falcons counted, both in a single day and over an entire season. Those records were set in 2015. This year's numbers are down, possibly because Hurricane Matthew pushed a lot of birds west as it churned up the East Coast. Counters have different reasons for spending months at a time, away from home, staring into the sky for eight hours a day. 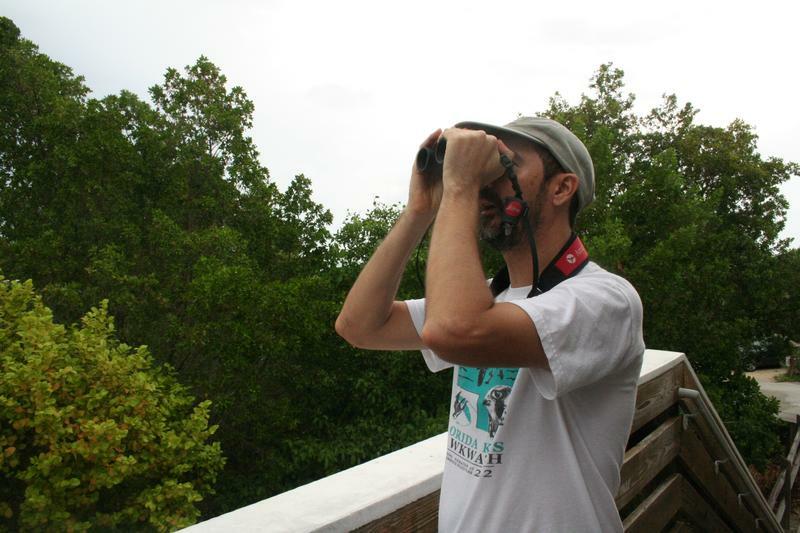 Rafael Gálvez runs the Florida Keys Hawkwatch and as an immigrant to the U.S., he said he identifies with the travelers on their way to his original home in South America. 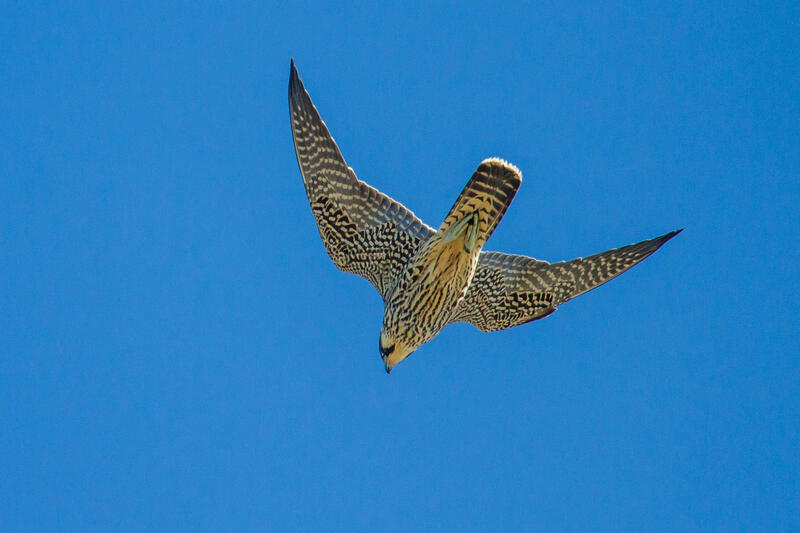 "When I see, say a peregrine falcon and realize that this bird, it may be a young bird the first year of its life, and it knows how to travel from Canada to South America — and maybe it’ll make it, maybe it won’t — I feel sort of anxious for it," Gálvez said. "It brings up feelings from when I was a child, and thinking that my entire family was going to move to a different continent and there was all of this pent-up energy and somehow I feel like I’ve never shaken that off." "It’s good to never lose sight of the fact that we’re not permanently here. None of the people may be really from here. Most of us are either European ancestry or African or Asian ancestry. But we see very few true natives, right? So we all have had migrations." Cameron Cox is a birding guide who has worked as a counter all over the country, including at one of the nation's best-known hawkwatches in Cape May, N.J. He says there's a difference between birding and counting. 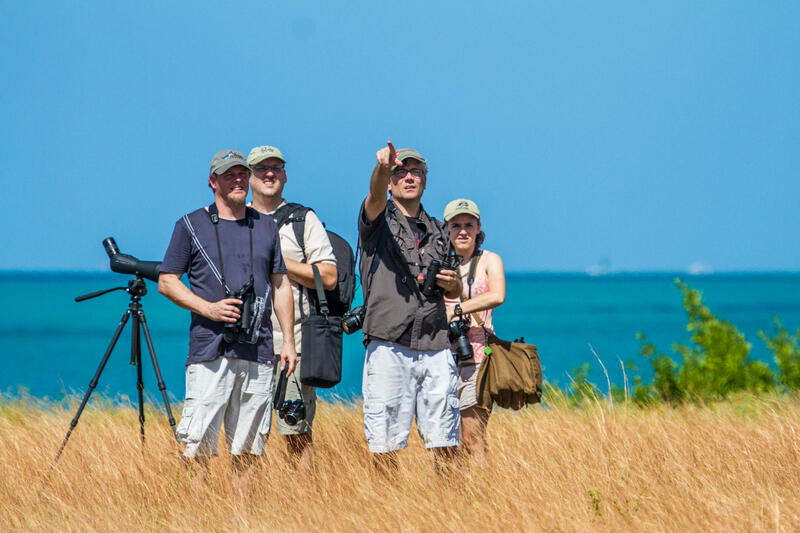 "When you're birding, you can often have your brain halfway turned off — 'Here's this. Here's that.' And you're just out enjoying yourself," he said. "Counting is — you're enjoying yourself, but you're also doing a job." 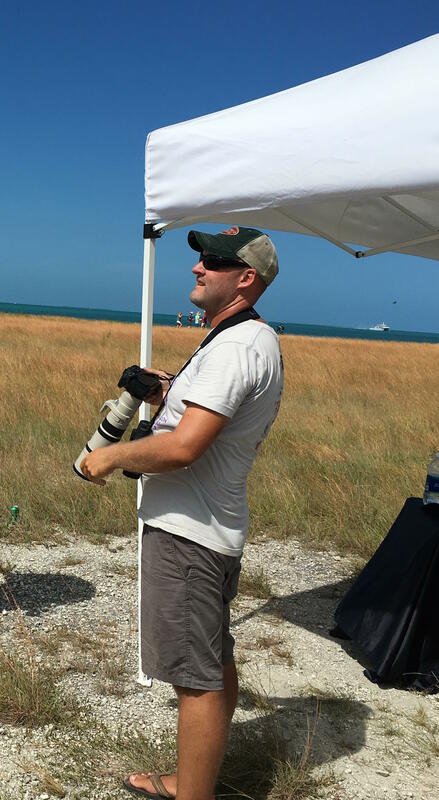 Cameron Cox has counted birds elsewhere in the country; this was his first year at the Keys Hawkwatch. Gálvez said it can be hard to remember the task at hand. "You definitely have to be very focused and make sure that you don’t lose sight of the research. It can be easy to be carried away with a beautiful bird and just spend hours on end observing it. And we try to do that. We try to appreciate all the birds," he said. "But once you’ve seen the bird and you’ve counted it, you need to let it go and move on to the next bird and the next bird and sometimes it can be quite hectic and tedious." 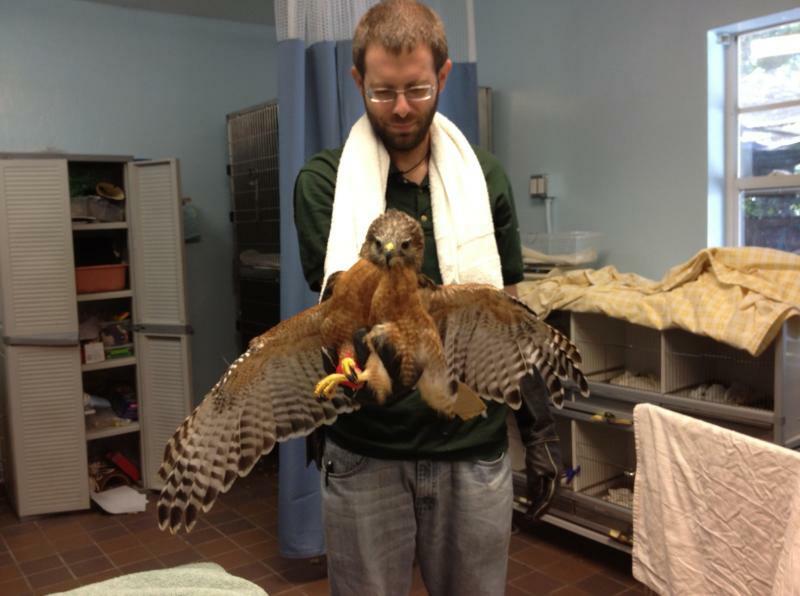 Coz said the Keys Hawkwatch poses special challenges. "The birds are often very very far away and because you’re in such a warm climate, there’s a lot of thermals, lots of rising hot air for them to glide through quickly. So in a lot of places when you’re counting hawks you get a lot of wingbeats. And you’ll see these birds beat their wings and they each have distinctive manners of doing this," he said. 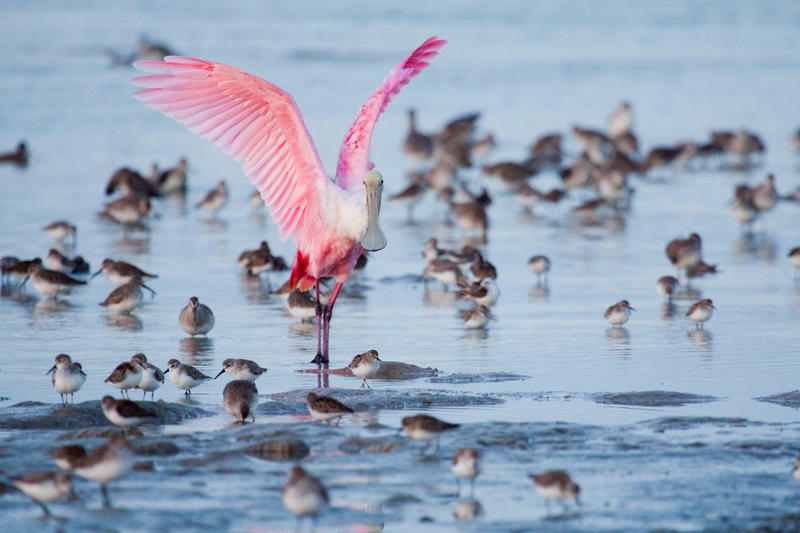 "Here in the Keys watch they often glide through. And everybody glides pretty much the same. "Birdwatching is different for everybody," Cox said. "For Rafael, birdwatching is a pageant. And for me it’s more of a puzzle. It’s this humongous puzzle that you’re always putting in, piece by piece. You’re never actually going to finish the puzzle but you keep on working on it because it’s this grand thing that you’re trying to learn more and more about." 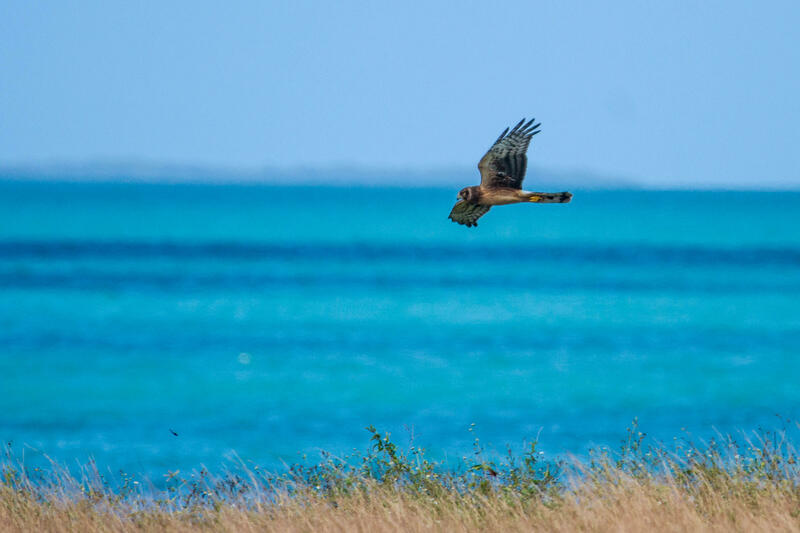 The Florida Keys Hawkwatch wrapped up its 19th season on Oct. 31. Data from the current season can be viewed at Hawkcount.org. This time of year, many birds from the north began migrating south for the winter. Some will stay here in South Florida while others will pass through the region on their way to the Caribbean. 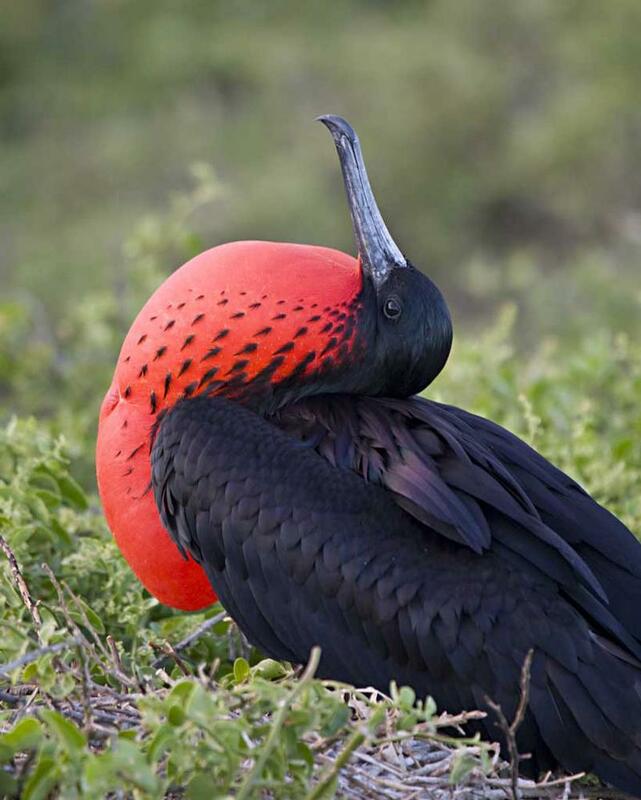 Increasingly, these birds are running into man-made obstacles that leave them with injured eyes, wings and beaks. Fifty-seven species of fish and wildlife are so rare or face such threats that they are considered "imperiled" by the state of Florida. Now the state has 49 action plans aimed at protecting those species. 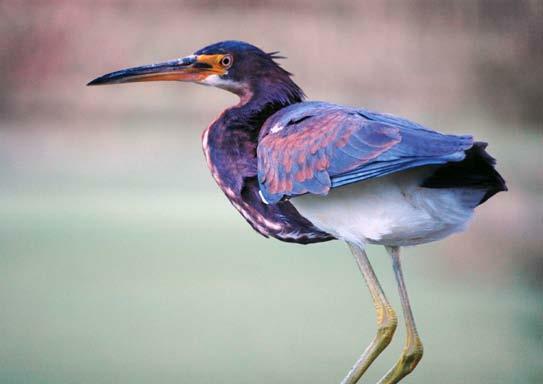 Some, like several species of wading birds, share the same habitat so they're covered under the same plan.